Found 69 blog entries for January 2017. Nick Turner will perform at the Joker's Comedy Club on February 9 to 11, 2017, at 8:00 p.m. Joker's Comedy Club is located at 624 Wellsian Way, Richland, WA. 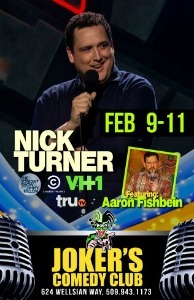 For more details, please visit the Nick Turner Comedy Show page at Brown Paper Ticket's website. 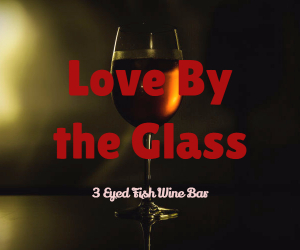 3 Eyed Fish Wine Bar is pleased to present the Love By the Glass event on February 11, 2017. This event will run from 2:00 p.m. until 10:00 p.m. 3 Eyed Fish Wine Bar is located at 1970 Keene Rd., Richland, WA. For more details, please call (509) 628-3255. Love By the Glass is an early Valentine's Day celebration featuring wines, cheese, chocolate and music! It includes standing tastings of various wines like Bubbles, Racy Reds, Unique Whites and more. Live music will be provided by Gabriel Knutzen. Admission to the Love By the Glass costs $59 per person and $49 per Wine Club member. Join the fun with loved ones and enjoy the season of passion with flavorful wines! The J.K. Rowling's Magic World Ribbon Cutting and Opening Reception will take place on February 1, 2017, from 4:00 p.m. until 5:00 p.m. This event will be held at Mid-Columbia Libraries' Kennewick Branch which is located at 1620 S. Union St. For more details, please visit the Ribbon Cutting and Opening Reception page on Facebook. 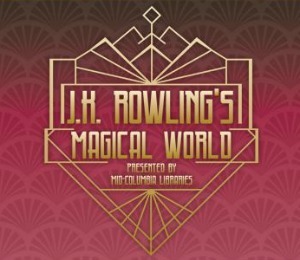 The Mid-Columbia Libraries is glad to announce its presentation of the J.K. Rowling's Magical World. This event is an exhibit of characters, places and powers all brought into life by this well-established author. Attendees are requested to come in clothes inspired by Roaring 20's and Harry Potter to win special prizes. Don't miss this event! The REACH Museum is pleased to present the Jewelry Workshop on February 4, 2017. This event will be from 1:00 p.m. until 3:00 p.m. and will be held at 1943 Columbia Park Trail, Richland, WA. For more details, please visit the Jewelry Workshop page at the REACH's website. 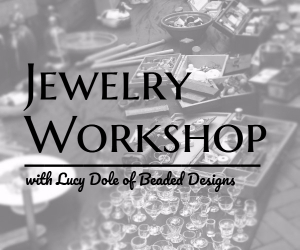 The Jewelry Workshop will feature Lucy Dole of Beaded Designs. Lucy will provide the step by step guide in making pieces of jewelry and other techniques that can further boost one's creativity. The Jewelry Workshop will focus on creating earrings and bracelets. Admission to this event costs $20 each for members and $25 each for non-members. Registration is required to join. Contact Sara at 509- 943-4100 Ext. 108 or send an email to sarac@visitthereach.org. 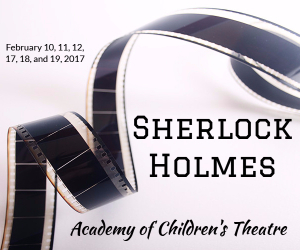 The Academy of Children's Theatre is pleased to present the 'Sherlock Holmes' beginning February 10, 2017, from 7:00 p.m. until 9:00 p.m. This event will be held at the ACT Studio, located at 213 Wellsian Way, Richland, WA. For more details, please visit the ACT's website. Sherlock Holmes is a story that revolves around a private detective. Together with his partner, Dr. Watson, the two put an end to the plans of criminals Jim Larrabee and his wife Madge. Be a part of the exciting adventures that Detective Holmes goes through and the mysteries he unfolds. The Ancient Fruitcake: What Really, Really Old Food Tells Us About History, Culture, Love & Memory will take place on the 16th of February 2017. This event will run from 7:00 p.m. until 8:30 p.m. and will be held at the Richland Public Library, at 955 Northgate, Richland, WA. For more details, please visit The Ancient Fruitcake page at the Richland Public Library's website. 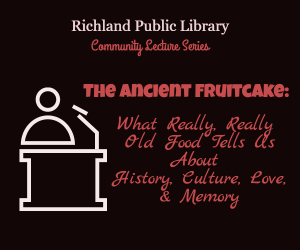 As part of the Community Lecture Series, the Richland Public Library is pleased to present The Ancient Fruitcake: What Really, Really Old Food Tells Us About History, Culture, Love, and Memory. 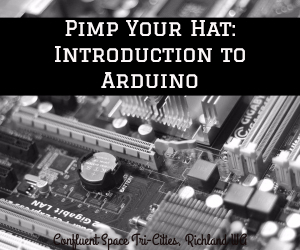 The Pimp Your Hat: Introduction to Arduino event will be held on January 29, 2017. This will run from 4:00 p.m. until 6:00 p.m., and will take place at Confluent Space Tri-Cities, at 285 Williams Boulevard, Richland, WA. For more details, please visit the Pimp Your Hat: Introduction to Arduino page on Facebook. Join the Spring Rolls vs Summer Rolls - Cooking Experience on February 8, 2017, from 5:30 p.m. until 7:30 p.m. This event will be held at the Anthology Event Venue, at 706 Williams Boulevard, Richland, WA. 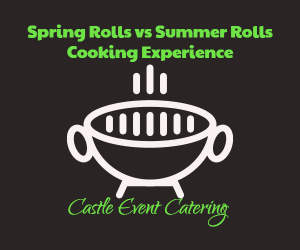 The Castle Event Catering is inviting everyone to join this event and learn everything about Spring Roll and Summer Roll. It's a hands-on class that will allow participants to know about the origin of both dishes and how to prepare them. This class will also teach how to make delicious sauces for both Spring Roll and Summer Roll. For more details, please call 375-4000. Admission to the Spring Rolls and Summer Rolls - Cooking Experience costs $75 each. Don't miss it! 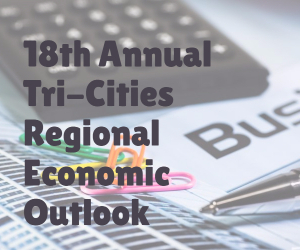 The 18th Annual Tri-Cities Regional Economic Outlook will be held on February 1, 2017. This event will run from 7:30 a.m. until 1:30 p.m. and will take place at the Three Rivers Convention Center, at 7016 W. Grandridge Boulevard, Kennewick, WA. For more details, please visit the 2017 Tri-Cities Regional Economic Outlook page at Tri-City Development Council's website. 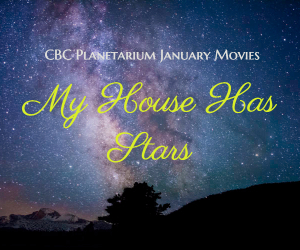 The CBC Planetarium January Movies will present 'My House Has Stars' on January 28, 2017. This event will be from 2:00 p.m. until 4:00 p.m. and will be held at Bechtel National Planetarium, at 2600 N. 20th Ave., Pasco, WA. For more details, please visit the Columbia Basin College's website. Thank you so much for all your expertise, help and guidance the last few months. I appreciate your time and attention in helping my mom in purchasing her home.